Listen or Read Dr. John Salerno’s Podcast Interview! 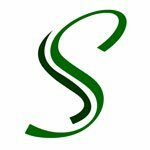 Below you will find an easy to read the transcript of Dr. John Salerno’s monthly podcast interview. You can click the video to listen to the podcast or simply read the easy to follow transcript below. Enjoy! RC: Hello everyone, this is Liz Harvey coming to you from our studios in New York City where we are dedicated to bringing you top quality advice from many of the leading expert professionals across the U.S. In today’s episode, we are speaking with Dr. John Salerno, founder of the Salerno Center for Complementary Medicine in Manhattan on East 55nd Street between 5th and Madison Avenue. 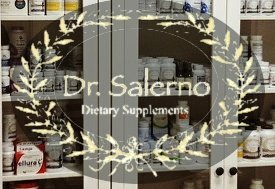 Lauded as an international pioneer in the field of anti-aging, Dr. Salerno’s techniques have been proven to slow the aging process and encourage a healthy and vitality-filled life for his patients through natural treatments. RC: Hello Dr. Salerno, how are you today? Dr. John Salerno: Thanks, how are you? Thanks for having me. RC: I’m great, thanks for joining me. Can you please describe how IV therapy works? Dr. John Salerno: Yes. For autoimmunity, and for others, we have 31 different protocols here, IV protocols. It directs the nutrients directly into the bloodstream so that patients, particularly those that have poor absorption with taking things orally, it will get directly to the target organs by IV. RC: What are some autoimmune disorders that IV therapy helps treat? Dr. John Salerno: Well, we particularly here at the Salerno Center treat things like rheumatoid arthritis. We’ll look at things like MS and treat, and antibodies to thyroid, or autoimmune thyroiditis, as we call it. RC: Are there different IV therapy protocols for different disorders? Dr. John Salerno: Yes. For different autoimmune disorders, we will target the IVs accordingly. So for example, for rheumatoid or arthritis conditions associated with autoimmunity, we’ll add things like MSM and glucosamine to help with joints and for inflammation. And for thyroid autoimmunity, we will use more of a detox protocol as autoimmune disorders and heavy metals and pesticides are synonymous, meaning pesticides and heavy metals can affect patients’ response or autoimmune responses. RC: What is an IV therapy session like for a patient? Dr. John Salerno: Patient would generally sit for a little over an hour, getting infused with a small needle in their arm with vitamins and nutrients that again go directly into the bloodstream and bypass the liver. They’re directed directly into our body’s cells. RC: How quickly does a patient feel the effects of the therapy? Dr. John Salerno: They generally feel it very rapidly, such that by the time patient’s done with the IVs they will feel the effects that particularly if we’re trying to use the IVs for energy and/or anxiety, as I said, we have 31 different protocols. So it depends on the specific treatments. RC: Well thank you so much, Dr. Salerno. We know you’re extremely busy, so I just want to thank you for your time and your help today. Dr. John Salerno: Yes, thank you so much. RC: And for our listeners across the country, if you are interested in speaking with the doctor, please visit www.SalernoCenter.com, or call 866-582-7454 to schedule an appointment. And on behalf of our team, we want to thank you for listening, and we look forward to bringing you more top-quality content from our country’s leading expert. ← What is MTHFR? How do we test for it? What you should do if you test positive?